Let’s grow the downtown around its historic roots. Farmington stands at a crossroads in time. We have to grow and adapt, or risk becoming obsolete. The question is, which path to take? Do we want to build, build, build—and risk becoming another run-of-the-mill suburb full of the same development you can find one, two, three towns over? Or do we want to embrace our historic roots, letting the city’s character shine through as we expand and redevelop? I choose option two, because that is what’ll continue to set Farmington apart. Farmington has a reputation as a family community – a historic community – a downtown with a heart. But every few years, we lose another historic building. This is an illustration of the proposal for an apartment complex at the Maxfield Training Center site. It would be on Thomas Street, right behind the Methodist church. We get a proposal for an apartment structure (see design at right) that neighbors think looks like a jail. In the new master plan draft, city hall could be on the chopping block for redevelopment (see pages 49 and 54). Once we lose our historic places, or turn over space to a new complex or parking structure, there’s no going back. We need to keep this in mind, and to balance the new in a way that complements what we already have. 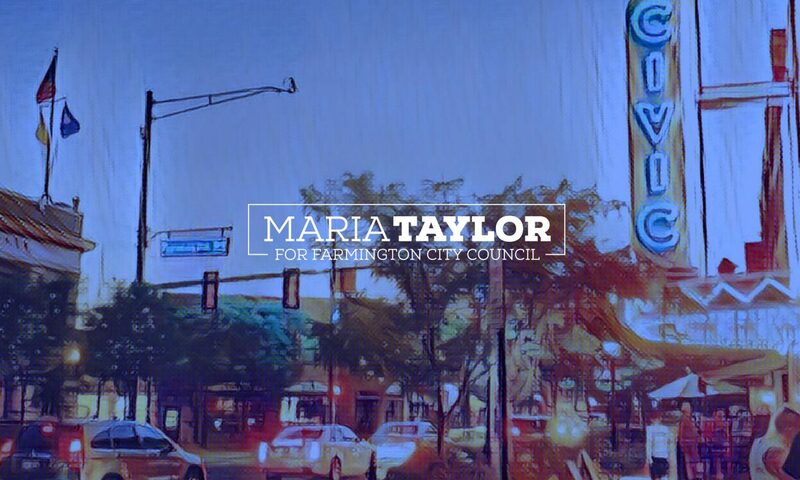 As Farmington grows upward and outward, I’ll stay focused on leveraging our city’s historic character, its parks and green spaces, its small-town feel – and redeveloping around our roots to create something that’s truly unique. Something authentic that you can’t replicate two cities over…something that screams “Farmington” and gives people a reason to choose this place to grow their families and businesses and livelihoods.